Claire Martin is the masterclass. A talent that has been around the European scene for almost two decades. Born in London and raised on a good dose of Ella Fitzgerald and Betty Carter, Claire Martin has recorded over 12 albums and racked up numerous jazz awards. She also hosts a jazz radio program on BBC Radio. She pours every ounce of power into each of her recordings. I personally feel she is sometimes more Carmen McRae then the aforemetioned artists but its all great company to be in. 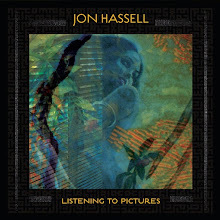 She is an artist who has always strived to elevate the standards and explore the unexpected cover with stellar results (Nick Drake, David Sylvian, Esbjorn Svensson, Donald Fagan among others). Clarie Martin is taking the jazz singer kicking and screaming into the 21st Century. It's easy for us to become comfortable with artists who stick to the standard material, but as with classical music there are also only so many times you want to hear "Solitude" or "Bewitched, Bothered and Bewildered". What we all want or at least sometimes need is an artist who can make you think differently about the song and also tell you "hey, I've got one of my own too." 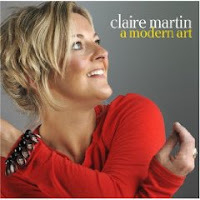 I believe Claire Martin does that on her new album Modern Art (Linn Records). Modern Art is a confident and very spirited collection with material that should make others stand up and take note. You can experiment as a singer but you also have to have the passion and ability to deliver that passion on stage and in the studio. Modern Art shines with material from saxophonist, Joshua Redman and Steely Dan in addition to traditional classics by Rogers & Hart. With 12 albums under her belt you expect Claire Martin to deliver an album that is forward-thinking and mature. She does that and more. While there is an excellent compilation entitled Every Now And Then, I think Modern Art is really the right place to start if you want to investigate one of today great jazz singers. Let me know how you feel - Are there underappreciated jazz singers out there you want to let us know about?